Healthy food and healthy physical exercise always go hand in hand. With the Nubel Nutrition Planner you can perfectly calculate the balance between the digested calories (what you ate) and the burnt calories (amongst others physical exercise). you wish to adapt your diet to sports efforts. 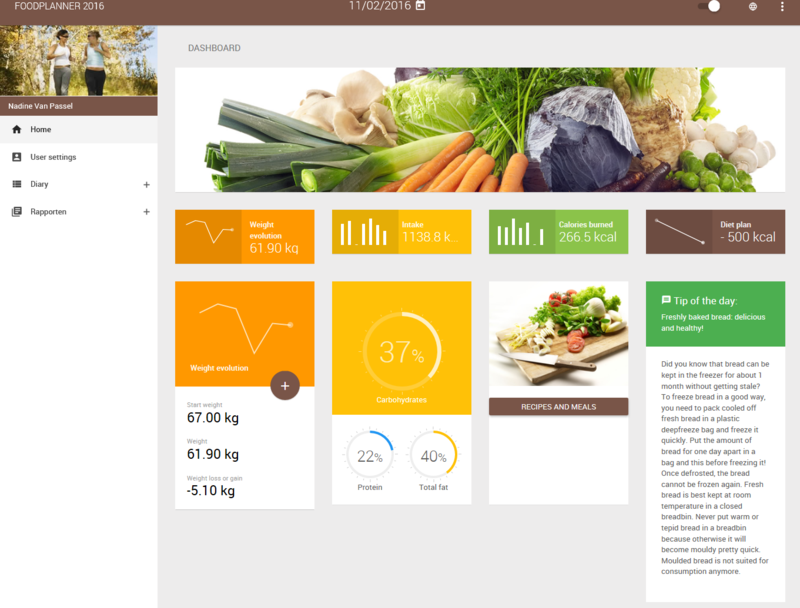 The new version of the nutrition planner is an Internet application which is directly connected with the brand name databank of the vzw Nubel. Each addition or adaptation which is done in the databank is also automatically updated in the internet application. All the information therefore is up-to-date as a result of which the user always sees the most recent data. In this databank, the composition of more than 3678 foods currently available on the Belgian market is stored. Of these 3678 products some 1000 basic products belong to the official Belgian foods table. The data about the foods in the databank are always up-to-date and are always the same as in the official Belgian foods table and the brand name databank. 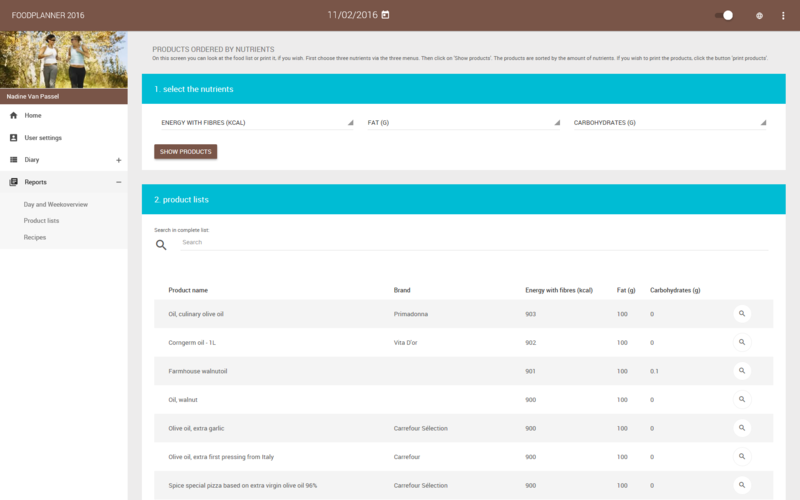 At the moment, there are more than 3600 products of which more than 2600 branded products in our database. Obviously, this database is completed and adapted on a regular basis. There is no need for the installation of software. Works on Mac as well as on PC. 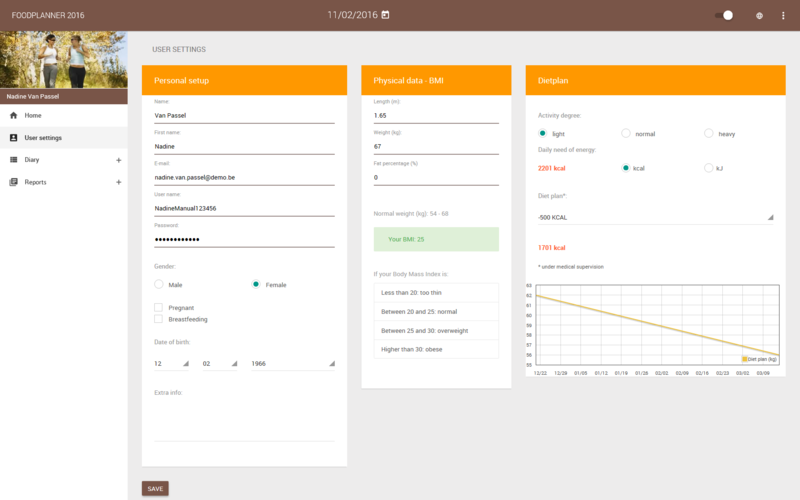 Corrections, additions and upgrades of the nutrition planner are executed automatically; you always work with the most recent version. Manage your personal data and determine your diet plan. At the bottom to the left, you immediately see the number of burnt calories and to the right the number of digested calories through food. 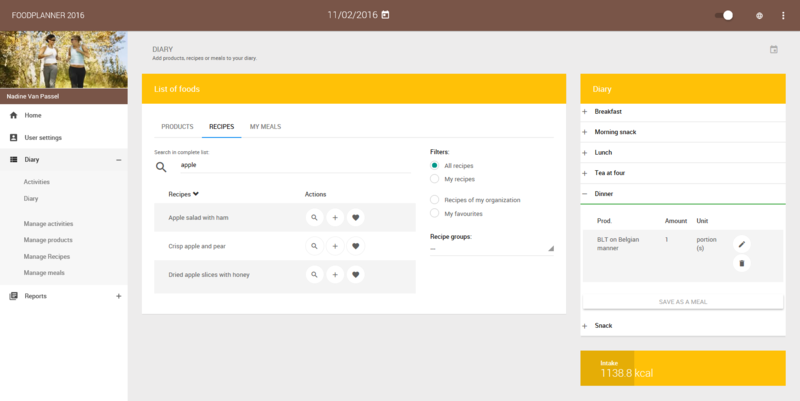 In the diary you can also consult recipes and compose recipes or meals yourself.